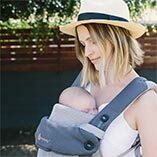 Ergobaby baby carriers, the award-winning Ergobaby Collection has the comfort and ergonomics that made the ergobaby name. 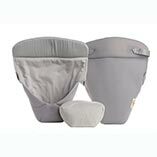 Their signature padded shoulder straps & waistband ensure the most comfortable ride for parent and baby. Offered in the widest variety of colours and patterns, the Ergobaby Collection is the ideal choice for everyday adventures. Adapt to every baby easy.